more filaments are under test as we launch this high quality build plate. 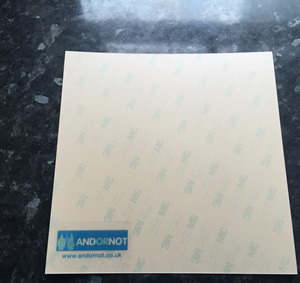 The AndOrNot build plate includes one side 3M 468 MP adhesive to stick it to your printer bed. 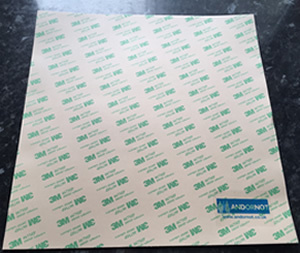 The build plate is not branded as other build plates to keep the costs down for the end users, if you require custom graphics please contact contact@andornot.co.uk to discuss your requirements. 1) Wipe down the build platform making sure it is clean. 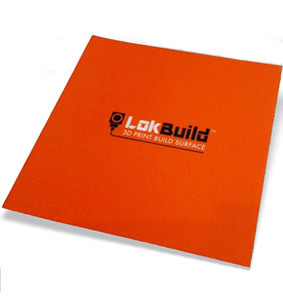 2) Trim AndOrNot Build Plate to match the shape and size of your build plate. This can be done easily with general household scissors or a craft knife. 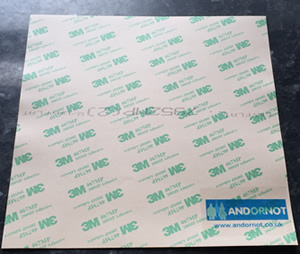 3) Remove the adhesive backing and apply AndOrNot Build Plate to the build plate. Start from one side and work your way to the other side, smoothing AndOrNot Build Plate as you go. 4) Adjust the printers nozzle height and check that the build surface is level. 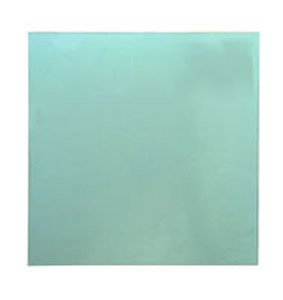 AndOrNot Build Plate is much more forgiving than some other products when setting the nozzle height and does not require such a high level of accuracy. However there will be an optimal nozzle height for your chosen material and printer. The key to a good nozzle height is to experiment. We recommend starting further away from the bed than with other surfaces and then reduce the nozzle height slightly until the print sticks to AndOrNot Build Plate. The vast number of printers and materials makes it impossible to give exact print parameters but a good starting point for the nozzle height would be between 0.20mm – 0.25mm. AndOrNot Build Plate should not need to be cleaned very often but if you do please use alcohol wipes or similar (low % Isopropyl). Do not use acetone or anything with a high % Isopropyl, this will damage the surface.